Crochet Journal Project with Echo Park and Simple Stories! Hi crafty people! Happy weekend! Hope you have some fun things planned! It's been raining alllll week here. We're hoping to get in a day trip to Napa this weekend for the Lighted Art Festival. We'll see if the weather holds out! And there is an eclipse Sunday night with a full moon. I think my hubs is going to go out and photograph it with the photography club! Again, we'll see if the weather holds out for that too. Geez, Wednesday we had a record rain total. Most rain in one day for the past 40 years! And, of course, that was the day I had meetings and errands to do! I should have used a boat instead of my car! I survived and it's all good. I have a fun project to share today! It's something that's been in my head for a few months and I'm eager to use it now that it's made! It's a crochet journal! I intend to write down all my projects and notes about the stitches and type of yarn used... That way if I want to make something again - or if someone has a question - all the information is right there at my fingertips! I've been keeping it all in a spiral notebook so far. Now, funny story... The one great thing about being a craft supplies hoarder is that you can shop at your own house! LOL. I had ALL the supplies needed for this journal in my room. Hahaha. I've been saving this beautiful paper pack for a special project. And now I've used it. That feels good. The paper collection is called I'd Rather Be Crafting - and it's from Echo Park! It's so pretty, and colorful and fun. CLICK HERE to see the entire collection (Paper, stencils, stamps, enamel dots...) I had this perfect sized binder from Simple Stories in my studio too! Yay! I started this project late at night so it was good that I didn't have to go out shopping. No stamping in this project. Paper, die cut letters, stickers, twine.... But no stamping! It was a fun project - no stress. I didn't use wet glue - everything is held together with lots of scor-tape. That makes for a smoother finished look. (I am inept at using the right amount of liquid glue). I hope this will inspire you to create your own journal! Maybe for crafting, but also for notes, or recipes or even a pretty scrapbook! The journal is approximately 9x8 inches. It really is the perfect size! I started by covering the front of the journal with the scissor/ruler paper. Then I added everything else. The letter dies are from Taylored Expressions and I die cut them from some woodgrain paper in my stash. I used lots of the pretty stickers to decorate everything! I made this little bouquet by using the flower stickers and the cute banner. I wanted to pop them up on foam tape in a little cluster! So I die cut some circles to frame my bouquet! It came out perfect! My cute assistant was very helpful in choosing which papers to use! LOL. This is the back cover! Crochet - Granny Square Baby Blanket! Hey everyone! How is your weekend going?? We've had rain rain rain here the past week or so. I love that! I feel all cozy and feel like reading and drinking coffee and making stuff. Winter is in full swing in Sacramento! Finally. The rain is much needed here and I'm grateful. Last week I had so many fun activities and meet ups. Seems like everything goes on pause during the holidays and then the week after New Years we all want to get back to our normal routine. I was ready - ready for things to get back on track - food, exercise, crafting...all of it! I finally finished my first big crochet project! I've made a few scarves, but only one big thing so far. I'm so happy to share it with you! One of my sweet blogger friends had a baby girl recently! I am so happy for her because she wanted to be a mama so badly, and I know she is going to be amazing as a mom! Her story was one of the 'good news' stories of last year. I wanted to make her something special for the nursery. The photos I saw of her nursery had grey and white and pops of bright colors (and pom poms!). I chose some pretty yarn colors in baby soft yarn (Caron Simply Soft - supplies and colors below) and set to work! This is a Granny Square Crochet Blanket! I am a brand new crocheter and I made this! YEAH! The reason I'm telling you that is because I want to encourage you to do it to! If I can make this, you can! When you are a new crocheter, your best friend is YouTube. There are so many people (kind and generous people) who post instructional videos on how to do everything! I suggest you search for the pattern you want to make and then find one of the You-tubers that 'speaks' to you - that you like their voice and pace. That's what I did to make this - I watched a ton of videos and then started... I belong to two local Crochet/Knit meet ups that have experts - and they were always willing to give me help and a tip along the way. Yarn peeps are just like paper peeps - sweet and helpful (and they just hoard yarn instead of 12x12 patterned paper! LOL). The pattern for my blanket is a Granny Square. It's about 40x40 inches finished. But, the good part is you can keep adding rows forever! Make it whatever size you want it to be! I changed yarn color after every round. After I finished the square blanket, I added a shell stitch crochet border in white to polish/finish it off nicely. Then I made some pink pom poms for all the corners using my Clover Pom Pom Maker. I attached the pom poms with a tied bow, so she can remove them if they get in the way - or for washing. These colors are just like a bowl of candy! And it's sooooo soft and squishy! Cutest photo shoot photo-bomber ever! Hee hee. What a helpful guy!! I'm listing my supplies and colors below. I bought one skein of each color and I used an H hook size. I made the entire blanket, border and pom poms and still had yarn left over. I would say I used about 75% of each skein. So the yarn goes a long way. I'm still learning how to gauge how far the yarn goes and how to read the labels/weight etc. Merry Christmas 2018 from the Guess Family! Something Different! A crochet project! Hi everyone! How are you? Hope you're having a great week! My husband has been away for work all week and it's been a crafting marathon here! Lucky and I have been staying up very (too) late every night crafting and watching too much tv! I can't sleep when my husband isn't home so I end up all wonky. I can't wait to see him Friday night! The house seems too big and too creaky when I'm here alone. Anyhoo - lots of crafting happening! LOL. If you follow along with me on Instagram and/or Facebook, then you know I've finally learned how to crochet...and I finally finished a project! This quest to crochet started over a year ago. I took some lessons at a local store but it didn't sink in. Then I took some more classes at Michael's. But I just never finished anything. I really wanted to, though! As luck would have it, I recently became aware of TWO awesome knit/crochet meet ups right near my house! I vowed to stick with it, and I joined both of the groups! I have met the loveliest and most talented ladies through the meetings! And, they have encouraged me and helped me along. Yay! I think I'm on my way now! I have finished two scarves and started a blanket. It's so fun now that I know what I'm doing. LOL. I'm doing basic stitches until I get my confidence up. I can't read a pattern yet. But I'm having a blast. Turns out that yarn people are just like paper people.... Crafty girls are the best. Since my blog is also my way of documenting my creative journey, I wanted to post about my first project here! I'm sure that a lot of you are also yarn hoarders?! Am I right? I have found that it's been good for my creative juices to do something different. New ways to look at colors and textures and try something that challenges me. I'm loving it so far. I have oodles of yarn already and projects in my mind. I'm going to start a journal to remember everything. Oh, and of course a Pinterest Board! Here's my finished scarf - and styled the way I wore it out the other day. HOW fun to receive compliments and say "I made it!" Love that. It's simple, really. Just row after row of double crochet stitches until I ran out of yarn. Then I added fringe to the bottom. Well, because, fringe is better! In progress... I accidentally threw away the label for the yarn! But I did some research and found out the brand and type. It doesn't have a dye lot system because each skein is hand dyed. It's called Malabrigo. It's all my favorite deep rich Fall colors. SO so pretty! One of the cool things about this hobby is that it's so easy to bring it with you. You just need your project, yarn, hook and scissors and off you go! I am totally addicted to this type of yarn - that has multiple colors in it. I like watching how the colors match up as you stitch along. And it looks so pretty when it's finished. I think it's easier to hide my mistakes too!! Pinwheels & Planners.... Catching up! Hey everybody! How is your week going? I hope you're doing great! I am in disbelief that another week is half over. I have so much to do! Yeeks! Still catching up from a super fun weekend at PlannerCon (more on that later in my post) and trying to get my life organized! It's been a good week and I finally had some time to get crafty this afternoon. I wanted to share this fun and easy project with you! My local Tuesdays Together Group is putting on an event this weekend and my contribution was to make pretty, cheerful pinwheels for the photo booth. People can take photos of them, or hold them up in their cute selfies! Our event is called Gram & Give Sac. We are staging an Instagram party! We'll have all kinds of activities. Super fun. If you are local to Sacramento/Roseville area it would be so great to see you there! It's this Saturday the 10th from 1-4pm at Bloom Collection Studios. CLICK HERE for details. Here are my finished pinwheels out on the front steps! These pinwheels make excellent party decorations, and you can even tie on a tag with a note. I've made them for baby showers, 4th of July, birthdays.... Any color theme or palette! I adore this paper collection - so happy!! And my favorite color of aqua is prominently featured! Here's what the punch board looks like! It comes with super simple directions. You can make a pinwheel up to 15 inches big!!! (with 12x12 paper) I want to make a big giant one some day. I usually make this size - which is from a 6x6 paper. This way you can get four pinwheels from one 12x12 paper. Nice! I'm so sorry that I cannot find where these embellishments are from! I searched the internet for quite a while! They were in my stash! Yeeks! I used Glossy Accents to attach the gems to the front of the pinwheels - so they would be nice and secure. Be sure to buy the sticks from We R Memory Keepers too - they are so nice. And, when you put them together you get a good spin!! They come in pretty colors!! I used grey and aqua but my other two favs are yellow and lime green. In this pic you can see the clear plastic piece that attaches to the stick. Again, super easy. It's actually three pieces. One piece fits on top of the stick with an arm extending. You put the pinwheel onto the arm and fold the four corners in. Then place a sleeve over that arm. Lastly the small round piece for the front. I glued on gems on mine, but I've also die cut circles and added names, numbers inside to further customize them. Don't you feel like a trip to the beach now!? Here are just a few of the hundreds of daffodils in our front yard! My husband went a little cray cray with the bulbs this year...and I love it! There are tulips and crocus too! These might be Narcissus??? Not sure exactly. Or mini daffodils. I love yellow in the Spring. I wanted to also share a bit about my fun weekend at PlannerCon! I checked in Friday night at around 5:00 and it was over on Sunday night. Three days of fun, laughs, amazing speakers, shopping, planning, and inspiration. Did you follow along on my Instagram stories? I tried to post often, but the internet inside the hotel was really spotty. I had a great time! PlannerCon is a huge convention for Planner Girls. There were 1000 attendees, plus speakers, vendors and volunteers. I think I saw 3-4 men there! Hahaha. I wasn't really sure what to expect and I had an excellent time. I was able to take two brush lettering workshops, and a stamping workshop too. All weekend long there were outstanding speakers: Amy Tangerine, Kristy Dickerson, Nicole Rixon, Erin Condren, Kevin Crowell, and Julia Langhein. There were so many women there, that they put signs on the mens restrooms making them into womens restrooms! Ha! Saturday night was a giant Plan-a-thon until midnight. (think crop!) The shopping area had so many awesome things to buy! Stamps, pens, stickers, planners...It was like being a kid again. Even when I was a little girl I always loved pens and stickers. I took away a lot of good information and also left feeling inspired. Definitely it was more than just cute stickers and pens... The speakers made me think about why I plan??? I've been a Franklin Covey gal since 1993!!! Before that I always kept some time of paper planner for school. For the past three years I've used an Erin Condren Planner. Planning is a way to keep us on track for meeting our goals. A way to hold ourselves accountable and focused. Planning for some is a way to keep a record of the activities of a family's life. (how cool for those grandkids to look through grandma's planner 40 years from now!). Planning keeps us organized, disciplined and intentional. Wow, the word intentional.... That really struck a chord with me all weekend. Everything we do should be with intention... I'm really still thinking about that. Living an intentional life. Planning can help us start a new chapter, a blank page, a new book.... Planning is fun! And for me, calming. If you plan for the things you have to do, then you free up time for the things you want to do! Julia from Filofax gave us a really interesting history of the 100 year old Filofax company. It started by engineers....and their "File of Facts!" She was so thoughtful about what planning meant to her company. She describes a person's planner as a 'personal space within your control. Private and unique to you.' She described the beauty and ritual of journaling and planning in beautiful leather goods. I loved that part. A planner contains a part of your soul. Finally, Amy Tangerine left us with a good quote: "I want to live vicariously through myself!" Spend time on the things you're good at and the things that fuel your passion. The PlannerCon will be in San Francisco again in March of 2019. Here's a photo I took Saturday night at the Plan-A-Thon. In my planner I tend to use a lot of Illustrated Faith washi and stickers. It is a daily reminder of my faith and what and WHO matters most as I go about my day. BLOG PRIZE WINNER! The winner of the prize from my last blog post (the lemon card) is Diane Oliver! I loved reading everyone's creative and interesting comments! Thank you everyone! Congratulations Diane! Hey everyone! How is your week going? It's rainy and gloomy here which makes for a perfect day in the studio! I'm back from Creativation 2018 (formerly called CHA) and I've had a couple of good nights' sleep and my feet no longer hurt! LOL. As you probably already know, I was in Phoenix for five days for the giant Creativation Trade Show. I had the very best time and I am so excited now to create and so uplifted by all the hugs and smiles. It was a whirlwind, as it always is. I call it the "CHA Vortex" because for a few days you are literally in another world, separate from reality! The convention center room where the show is has no windows and no clocks! It's two full escalators down into the basement! So you never know what time it is, or where you are!! Also, while you're there, there is no laundry or chores, or bill paying or cooking! Just loads of F-U-N!! I look forward to it so much every year. I'm so happy it's in January because I think it is the best way to kick off the year! I almost didn't end up going to the show at all! On Tuesday last week I was still hacking up a lung! Gosh, I had that cold virus for almost three weeks. I thought, I don't want to go if I'm coughing and not feeling well the whole time. So my husband and I prayed hard over me and by Thursday I was feeling much better. Just in time to leave on Friday morning. It was a crafty miracle! Being sick gave me a new and different perspective on the show this year too. My husband made me promise to take it easy and to rest when I felt like it and to take care of myself. And so that slowed me down a bit from my usual 500 miles per hour that I'm going during the show. I think that there was a purpose in it actually. So, please do not get mad at me! I didn't take many photos this year at all! Yikes. Me? Not taking pictures? But that is exactly what happened. For the first time going to the show I was not working. I was attending! No deadlines, no assignments, no demos....just me, enjoying the situation! It was weird! LOL. I consciously decided to be more in the moment. I left my camera in my purse most of the time. I did lots of quick Instagram videos and I hope you caught those!! I posted some shots from my phone on my Facebook page. I didn't take selfies with everyone this time. I had meaningful, inspiring, uplifting, engaging conversations! WOOOOT! I hung out. I hugged. A lot. I ate yummy food with awesome people. I met up with people that I've been working with for years. I met new people. We talked. We connected. We sat down and heard each other. It was wonderful. I was so blessed by so many people. I think that's what the show was about for me this year. I had the chance to network and get some job opportunities. Also wonderful. The show this time reminded me why I love this community. Of course it's not all rainbows and unicorns...I never want to leave that impression. But if you're careful and open, there are unicorns to be found! Lots of em. It's really interesting and fun to be in that space. With all of those creative people. It's totally normal to be walking around and see Heidi Swapp walk by or to see Becky Higgins laughing with friends. Bump into Teresa Collins in the bathroom... Amy Tangerine and Tim Holtz having a conversation in the aisle. All of our favorite crafters and bloggers in one place for a common goal. Supporting our hobby and industry. I try to really soak it all in and be grateful and aware. It's pretty cool. The show is not only for paper crafting! LOL. The yarn section this year was HUGE! Fiber arts is really making a comeback. And all of the other crafts and hobbies are represented. I would say that paper crafting is about 60% of the show floor. So that's my story from Creativation 2018! There were fewer attendees this year than last year, and that worries me a little. It seemed pretty empty at the show. The first year I went you could barely walk down the aisle without bumping into people. It's not that way anymore. I'm not sure what that means for the industry and the show. I would like to see it busy and bustling. But as we know shopping and things have changed drastically in the past few years. I'm happy that the lovelies that I want to connect with still come to the show. Friends from all over the world!!! Not just the United States. It's pretty fabulous. I am blessed and grateful!! I am totally inspired by my days away. The Tim Holtz Ideaology booth is always always a favorite. They are so creative and no detail is left undone. This gorgeous dress form and retro typewriter make me happy. This booth is usually one of my first stops! This is my friend Nina, the owner of Waffle Flower stamps, and the artist Helen Dardik. I adore Nina and her unique and beautiful style. She has such an eye for design and for picking amazing artists to illustrate stamps for her company. Waffle Flower is one of my all time favorite companies. I was totally fan-girling about meeting Helen Dardik. She is sweet and talented and funny. It was wonderful to sit and chat with her for a while. She even signed something for me!! One of the highlights of the show. And here's me with Greg from Concord & 9th. SILLY boy. Gosh how I love Greg and Angie! I had the chance to join them for dinner one night and I haven't laughed that hard in a loooong time. They are the very very best. Their booth won a design award! WOOOHOOOO! It was fabulous!! I got to meet the super lovely Jane Davenport also! WOW! She is so talented and sweet and funny! I love her accent! She has a huge new collection with Spellbinders! And check out her custom die cutting machine! It's teal...with mermaids!!!! Oh my. She has stamps and markers and ink pads that look like mermaid fin scales. Everything is gorgeous and inspiring! Someone else I have been a fan of forever is Brandin, the owner of Webster's Pages. I've watched her designs from the beginning and I love her personality. She is warm and kind and real. This year the gorgeous Webster's Pages planners are off the hook. I need this mini floral striped number in my life. NEED. We R Memory Keepers has cool new retro looking label makers!! Oh, and a mini envelope board too! The label makers have tons of different label tape, including one that is woodgrain! I will definitely be buying the pink one to match my WRMK Pink Typewriter!!! This dress form was in the Prima booth and was decorated entirely with paper! SOOOO completely creative. It blew my mind. The Prima booth is always spectacular. I have been buying a lot of their planner items lately and I have one of their bronze colored Traveler Notebooks. Swoon. I checked something off my restaurant bucket list too! I've always wanted to go to Shake Shack! And they have one in Phoenix! It was yummmmmmmmmy and fabulous! I'm happy I finally made it there! I ate a lot of good food this trip!! LOL. If you are a Yelper, be sure to befriend me on Yelp so we can share reviews. Find me under Wanda G in Sacramento. If there's a link I've linked it! Most things are not available yet! Pocket Letter Project with Illustrated Faith! Hi friends! I've been a busy bee! How are you? The holiday season is rolling along towards us at a fast pace now. I'm trying to finish making Christmas cards so I can do the hard part (addressing them! LOL). That part takes forever! I need to get with the program and start this week. What have you been up to? Have you been crafting a lot? I've been spending as much time in the studio as I can. I love this cozy time of year. Kitty curled up in his bed in here, some tunes on, coffee in my mug. Today's project is something I've been wanting to make for a looooonnnnngggg time. Well, I finally did! I love Pocket Letters and have a certain friend in mind that I wanted to make one for. I recently bought this beautiful paper pack from Illustrated Faith/Bella Blvd called Advent and as soon as I laid out all the papers on my desk - it came to me - this is perfect for finally making my pocket letter! What is a pocket letter?? CLICK HERE to read the blog of the woman who started the trend! It's a letter that you make in pockets (of a baseball trading card sleeve). When you fold it up in thirds it fits into a business envelope! It's like making nine tiny cards in one! I used my trusty Fuse Tool and sealed all the pockets up - some with sequins, etc. SUPER fun! You can make a pocket letter as simple or as crazy as you want. Mine is somewhere in the middle! I love how it came out. Here is an overview shot of the entire pocket letter. Next I'll show you some close up shots! I even made a little matching clip for the top left. My friend can remove that part and clip it into a book or a planner, etc. I have lots and lots of sequins in my stash! I had fun making little sequin mixes for some of the pockets. Do you have a Fuse Tool? It's a tool from We R Memory Keepers that heats up and then it seals plastic. That way all the sequins etc stay inside. It's also a great way to make Shaker Cards. All of the papers are from the Illustrated Faith Advent Collection. Here's a close up of the little banner tag. I used some of the plastic from a different sleeve and free hand sealed it into a banner. I put some sequins inside and then sealed the top. I used a little Doodlebug Clothes Pink from my stash, and added a cross sticker and some twine. It's clipped onto the main pocket letter using the pin. I used washi tape to cover the left side border of the trading card sleeve. One cool thing about pocket letters is you can store them in a binder! The paper has such bright and happy colors and such cute imagery. I love the coffee cups a lot! More sequins and stickers! You can see where I used the Fuse Tool to seal the pockets. Just SOME of my Illustrated Faith washi tape collection!! I use these so much in my planner and Bible journaling! Happy Thanksgiving from our home to yours 2017! Hi friends! Sending you good wishes, love, and prayers for a happy and peaceful Thanksgiving Day. You are a blessing to me - every one of you who joins along on this blog journey of mine - and I'm so grateful for all of you. Happy Thanksgiving! XOXO Wanda and Mark Guess (and Buddy too). Hi creative friends! It's my annual birthday post! Boy doesn't it seem like I just did this! Another year, another trip around the sun, more lessons, and more wrinkles! This year I am 53. That doesn't even sound right! LOL. This year has been a little (a lot) crazy and I feel like I am having a hard time keeping up. I look in the mirror and I see a wiser woman with more experience. Sometimes I catch a glimpse of my mom looking back at me. I feel like the past year had so much for me to learn. I'm feeling like I finally am 'getting it' and I'm looking forward to a new year to celebrate! I'm having a mellow birthday so far. The hubs brought me bagels and Starbucks in bed. It's misty-raining outside and we're all cozy. I made a cooooool craft project (I'll share below) and then in a bit I think we'll go out and do some running around and visiting friends. It's funny as you get older, the actual day of your birthday isn't as important as the contact with your loved ones. I LOOOOOOVE all the handmade cards I've received and I love that my friends want to get together to celebrate. Those are the important things! Yesterday the hubs and I went exploring at one of our local State Parks and we had the entire place to ourselves! I'll share some pictures at the end of my post. Happy Friday friends! I hope you have a wonderful weekend! XOXOXO Be sure to come back by on Monday for the launch of the newest Hero Arts Kit! So my craft project for today has nothing to do with paper! I made a terrarium! SOOO fun! I bought all of the stuff at our local nursery a week or so ago and it's all been sitting in our kitchen since. I thought today would be the perfect day for a quick and easy project. It came out really nice I think. I want to make a bunch of these! The cloche is kind of expensive, but everything else is really inexpensive. I think this would be a great class. I might see if I can find the items for a good enough price to host a workshop or something. Let me know what you think! I put in three tiny plants and some little mushrooms from my craft stash. It going to sit in my studio so I can enjoy it all the time. It just looks so fresh. You buy the rocks, the soil and the moss and it's just a matter of layering everything and planting the plants. Couldn't be easier! Have you ever made a terrarium? I think we made one years ago in school - but nothing this fancy for sure! I hope you'll try it! There were about 20 kinds of little plants to choose from. I liked the bright greens of these three. And, as a tradition, I always have my husband take my photo on my birthday. Usually I hate to have my picture taken, but I do like to document the occasion every year on my birthday. He took this one yesterday when we were out exploring. So, yeah, that's me! LOL. All of the pictures in the rest of my post are from the Empire Mine California State Park in Grass Valley, California. This is about a 40 minute drive from our house, and what a hidden gem of a park. It's sooooo beautiful and peaceful. Especially yesterday. We were the ONLY people there! It was misty and kind of cold out...but that is my favorite weather so it didn't bother me one bit. This is an old gold mine in the Sierra Foothills and was really active in the gold rush days! CLICK HERE to read more about the park. Fall in California usually means yellow and orange leaves. We do not get the bright vivid reds here too much. These are oak leaves. So this is the 'cottage' on the property where the owner would stay from time to time. (not his primary residence!!) It's amazing and made from stone and brick. Stunning! That front door is pretty fancy!!! I fell IN LOVE with this pretty courtyard in the back of the cottage. I took about 30 pictures! Ha. It felt like a little bit of Europe! I love the colors and the contrast of the stone, the brick, the doors and the pretty flowers. I couldn't resist clicking away with my camera! The entire property has the wonderful English gardens, lined with holly bushes and trellises. Of course, it's November, so most everything is dormant and or dead for the year. I managed to find some pretty flowers and plants anyway though! Happy First Day of Spring! Sharing a pretty wreath project! Hi friends! Happy first day of Spring 2017! I know a lot of you are still waiting for Spring to arrive and I'm sending you loads of sunshine and flower filled wishes from Sacramento. I spent a week in Chicago in March many years ago. Until that week I never realized just how fortunate we are with our weather. It was below freezing every day that entire week, and not a green leaf or bloom in sight! This year, we've already had all of our daffodils bloom and go, and now have a yard full of tulips and crocus. And a face full of pollen! Achooooo! It's all worth it though, to see the seasons change. Especially this year since we had alllllll that rain. I'm feeling the love right now! I'm ready to craft with flowers! I hope you have a great week ahead of you! Today I'm sharing a different kind of project - a paper flower wreath! I made it form the Pastel Petals Wreath Kit from Paper Source! I LOOOOVE their wreath kits. I think I've made five or six over the years. They are so pretty and fun to make. I used to have to drive 75 miles to a Paper Source, but now we have one about 10 miles from my house! Needless to say, I spend a lot of time there! It's a happy place for sure. I bought this wreath kit a couple of weeks ago and have been dying to make it. Here is a photo of it hanging on our front door! Now this color palette is not one I would normally choose, and I think that might have been what drew me to the kit in the first place. Totally unique colors with a pop of jet black and a touch of gold shimmer. It's all so pretty together. I made the project exactly as outlined in the directions included with the kit - with only two exceptions. I added the Distress Inking around the edges, and I added a few black and white Doodlebug Enamel Dots to the centers of the flowers. I really liked the extra look of a bit of shine on the centers. I was thinking about maybe adding some Rock Candy Distress Glitter, but then decided no on that. Here is what the Pastel Petals Wreath Kit looks like when you buy it. Everything is included except double stick tape and a bone folder! They even give you awesome (Super Sticky) foam squares and more than you would ever use. The wreath form and the ribbon are included too. They thought of everything. I used the photo on the front of the kit as my guide for placement of my flowers. Below is a collage of the steps to make the wreath. I think the 'hardest' part was punching out all the parts! They are already cut out, you just have to separate them from the main paper. I decided I wanted to ink the edges of my flowers and leaves to add a bit of dimension to them. That part took a while. I found perfectly matching distress ink shades! Full supplies list at the bottom of the post. On the back of the kit there are directions as to exactly how to assemble the flowers. It's fool proof. To start assembling the wreath, I first attached the largest leaves in a ring. I attached everything with the enclosed foam squares. After I put down these big leaf sprays, I put the flowers on next. Then I used all the other leaves to fill in the open spaces and parts where you would see the wreath form. I had tons of leaves left over too! So there is plenty to work with. I thought I would finish with just a couple of photos from our front yard! Happy Spring! Creativation Wrap Up - Phoenix 2017! What a show! Hey everyone! I'm back from Creativation 2017 in Phoenix Arizona! It was a great week! Now I'm sorting through all my photos and my catalogs and trying to get my head back to reality! How have you been? I hope life is good in your creative space and in your life. I left last Thursday for Phoenix to attend the CHA - Creativation Trade Show. The largest craft and hobby trade show around. This was a new venue this year, usually the show is in Anaheim. So we were all newbies this time around, trying to figure out the lay of the land and where everything is. Oddly enough, it rained almost the entire time... Except the last day when everyone was flying home! I did have the most gorgeous flight I've had in a long time, with all those clouds. Just like heaven! I had never been to Phoenix before, and I'm sad to say that I didn't see too much of it - only the downtown area near the Convention Center. I really want to go back and explore one of these days. I attended the show this year as part of the Simon Says Stamp crew and I had a great time taking photographs for their social media and writing blog posts each day on the SSS blog. I hope you were able to follow along with me during the week! Overall it was a fantastic show! I would say that I did not see tons of new companies this time. What I did see was loads of great new products from the companies I already love. So nothing new, but then again, some new things.... If that makes sense! I always go to the Tim Holtz booths first - Sizzix, Idea-ology, Ranger, etc to see what he has in store for us. Of course it was all amazing. He demo'd the new Oxide Distress Inks and now I have to have all of them! And his new stamping tool is the best! I loved everything new from Waffle Flower Stamps - so pretty and unique. The new Hero Arts catalog launched just before the show and I had lots of samples in their booth - that is really fun to see your work on display! Planners and planner supplies are still all the rage. Lots of companies making cool planners, stamps, tapes, and stickers to use to organize our lives. I was particularly smitten with the new floral planners and accessories from Webster's Pages. Then again, I've been a fan of that company for years! Altenew has beautiful new stamps and more markers coming. Lawn Fawn has made more plaid paper (my favorite papers) and this time it's rainbow plaid! Yay! I was really struck by the abundance of items with a faith based theme. Lots of planner items, stamps, stickers and paper for Bible journaling and for making cards. I want everything from the Bella Blvd new paper lines.... I saw a funny collection from Simple Stories called Emoji Love! SO cute. I had fun seeing my creative friends and colleagues, eating and drinking too much, and walking until my toes hurt. It's all such a good experience. This is the one time of the year when we are all together in the same place and the energy is wonderful. Hugs for days! I'm so moved by the kindness of our industry and how people lift others up and are so willing to be positive. I always come home in a happy mood. There are some real angels out there that I am lucky enough to call my friends. I made a video out of some of my favorite things from the show. I thought that might be easier than trying to post 40 pictures here! I'll put some links below the video to some of my favorite products. I would say that if something is available on pre-order and you want it, I would get it now. Then you won't have to wait months for re-stocking. I've learned this the hard way over the years. Especially the Tim Holtz items. Let me know in the comments what you are excited about! Starting the new year off right with a $75 giveaway! I have pulled my lucky random winner....Geneva! Hi crafty friends! I have been thinking up ways to do some giveaways and prizes starting with the new year, and brainstorming business ideas too! I wanted a way to say thank you to you, my blog readers, and also say thank you to my shopping affiliates! I am grateful to the companies that allow me to be part of their businesses all year and I am grateful to you for the love and support you show me! ***On a personal note, I only link to companies that I utilize, love and support. Every company that I connect with is a proven winner in my opinion. I will never recommend a company that I do not shop with myself! Starting now, and going through the end of January I am having a $75 shopping spree prize drawing. I will draw one lucky winner at the end of the month and the prize will be a $75 gift certificate to the company of your choice listed below in the links! Yes, that's right, you choose the prize too! 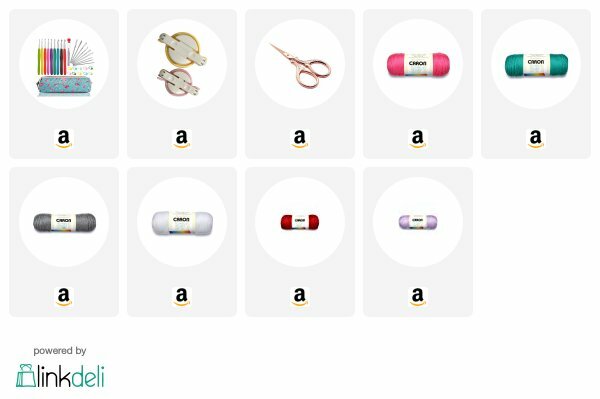 Click on any of the logos below for my affiliate companies and when you place any order of $75 or more, you will be entered in the prize drawing. Here's how: Once you finish your order, email me (STAMPCATWG@AOL.COM) with the date and time of your order, and the company you ordered from. I will save all the emails over the month and draw one winner on January 31st and notify the winner! The more shopping orders you place, the more entries you have into the drawing. In order to be entered, you need to click through the links below. GOOD LUCK! Hi everybody! I wasn't sure I would blog again before Christmas, but here I am! LOL! I did some midnight crafting the other night! Does that happen to you? Do you get ideas late at night too? Earlier that evening I was practically falling asleep on the couch. I was all snuggly with my kitty on my lap. Well, I started watching TV and before I knew it I was all crafty and it was so late at night! But, I gave in to the temptation and decided to make another project with the awesome new release from Simon Says Stamp. Everything was still out on my counter top and I love it all... I ended up making some Valentine treat bags with glassine bags. This is one of my go-to projects for Valentine's Day and I usually end up making some version of these every year. They are a bit shabby chic and vintage, and romantic.... I also used a brand new paper pad (Metropolitan Girl) that just came in the mail. One tip for these kinds of projects is to use all papers from the same pad. It makes it all go together so nicely! Black and pink always looks nice together! I hope your Christmas week is going well. I am out doing errands and meeting friends for coffee and lunches...and getting a manicure. Doing some fun things in between working. Spending time with my favorite peoples. We will have a quiet Christmas day at our home. I'm still deciding on the menu! To spell out "Love You" I used parts of two different dies. I love that all the new dies are the same font and scale so you can mix and match all the words. I die cut my words out of pretty silver glitter cardstock for a bit of shimmer on my bags. A crisp white doily always makes a card or treat seem more special and vintage. I die cut out the numbers from rich black cardstock for nice contrast to all the pink going on. I mounted them onto the bag using foam tape. Before layering on all my pretties, I started with a belly band of black and white striped paper cut to 1.75 inches wide. A couple of tiny banners stick out from under the belly band. I wanted to somehow get some floral paper onto this project and this was just a nice little touch. EEEEEP! This tiny envelope!!! So cute! I used one of the new stamp sets to stamp 'forever' onto the front of the envelope and then put on a tiny pink heart (part of that die set). SUPPLY LINKS FOR TODAY'S PROJECT! If you are going to order from Amazon, I would be so grateful if you would use my affiliate link below! It works for any items ordered on Amazon! Thank you for your support! 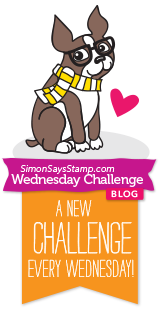 Simon Says Stamp - Wednesday Challenge - Fun with Felt! Hi everyone! I'm super happy to be joining the lovely ladies of the Wednesday Challenge Blog as a guest this week! The theme is Fun with Felt, and we ALL know how much I love making felt projects with the SSS Plush Dies. I'm glad they invited me to join them this week! CLICK HERE to go to the Wednesday Challenge Blog and check it out. I hope that you will be inspired to create your own felt project and enter the challenge! You have all week until next Wednesday. You know how generous Simon Says Stamp is with the prizes...and for this challenge there is a chance to win a $50 gift certificate to the SSS Store! WOOOT! Okay, so here's my project! I made THESE BEARS when the felt dies first were released and always had the idea in the back of my mind to make a Christmas ornament bear. So, for today's share, that's what I did! I made the bear a nice rich brown (he's a California Grizzly! LOL) and then gave him a nice red scarf. I used the Snowflake Banner die to make a fluffy white snowflake for his tummy. Before I sewed him together I added a pretty gingham ribbon to use to hang him on the tree. I added Doodlebug enamel dots for his eyes, and as accents for his snowflake and scarf. I wanted to put just a little pop of green somewhere on the project. Simon Says Stamp Spring Plush Release Day - It's all about the felt! Hey everybody! Wowza, it's been busy in my studio the past week or so! I've been up to my eyeballs in FELT and loving every minute of it! If you follow me on Instagram, you know I've not been good at keeping a secret! I'm so excited that this release day is finally here and I can share some fun projects with you. The entire Spring Plush Release is live now (links at the bottom of my post) and there is a BIG Blog Hop tomorrow too! The release is a series of Plush Dies created with Felt crafting in mind, but you can use paper, fabric or anything else you can dream up. I'm posting some things today, and some more tomorrow. Yay! It was super fun to create with felt instead of paper for this release - use some of my sewing techniques and just have a good time with it. I literally stayed up until 2am one night because I couldn't stop making felties! I know you are going to love it too. I have a sneaking suspicion these are gonna sell out FAST! Get 'em while they're hot! First up is my favorite new die - the Happy Bear! OMG so sweet! I made the one bear with the blue scarf and then I thought he needed a girlfriend, so I made another one! I gave her a pink bow and a pearl bead necklace. Aren't the adorbs? The dies all have circles cut out already for your stitching! That makes it really easy to get nice, even, perfect stitches. You can choose a straight stitch or a blanket stitch (example further down in my post). I love that it looks so professional. For the ears and the face parts I used Fabric glue. Easy-peasy. For their eyes, I wanted them shiny and cute so I used black Doodlebug enamel dots! I put just the tiniest amount of stuffing inside them (quilt stuffing from the fabric store). You can also leave them flat. If you don't have batting or stuffing at home you can use cotton balls. You really need a small amount. I LERVE them! I added a little stitching for their mouth and nose. Just three stitches, but I think it made a difference. Her necklace is some pearl beads strung on a piece of thread and then attached to her neck. Next up is this adorable Springtime Chicken Die! I wanted her to look country and sort of Mary Engelbreit inspired so I used vivid yellow, red and touches of black. For this one I used a blanket stitch. If you don't know how to do this you can find a Youtube video to watch - it is very simple, once you get started! I really like the little scallop edge on her face. She comes with the flowers and leaves too! For my last project for today I made a felt heart pin using the Blooming Heart die. I wanted to try a bit of a different look so I started with black felt and black thread. I think this makes it sort of elegant, and then the flowers really pop! This is a pin - I just attached a pin back to it. I love to wear a denim jacket and I love pins so I will be sporting this one for sure! (I have another pin to share tomorrow). You could attach it to a package too. SUPPLY LINKS AND NEW RELEASE ITEMS! Tim Holtz Ideaology Charm Bracelet! Good morning and happy Saturday! Just a really quick post today - because I'm so excited about this project! How was your week? I hope it was great! The hubs and I got our taxes done yesterday and I breathed a huge sigh of relief....maybe you heard it? LOL. I am always so glad when that is over for the year and that stress is off my shoulders. After our tax appointment, we went and had a very nice celebratory pizza luncheon at this cool, hip place that I've been wanting to try and then we just ran errands. I have been working for a few days on next week's projects - using felt! How fun to be making some crafty things that aren't cards! Flexing my creative muscles in a different way is always awesome. Tomorrow I will be in the studio in front of the TV all day watching Oscar hype! I think it's as intense as the super bowl! I don't really care about the awards show (since I hardly ever have seen the movies) but I love the red carpet chatter! What's on the schedule for your weekend? Whatever it is, I hope you are content and happy in your corner of the globe! I would love it if you would pop over to the Simon Says Stamp Blog this weekend sometime to check out my charm bracelet project. Like I said, I'm REALLY excited! It's been hard waiting for this post to go live so I could share with everyone! XOXO Here's a sneak peek photo! Full tutorial over at Simon Says Stamp! I'm back from CHA! Fun, Memories & Creativity! Hey everyone! I'm back from CHA! Wow! Can't believe it's been a week since I drove down to LA! That was maybe the fastest week of my life. I told my husband last night that it felt like I got pulled into the CHA tornado, swirled around, and then spit back out! But, oh, what a wonderful thing it was. I am quite sure that I have never laughed that much in one week in my entire life. It's all about memories, friends, fun, and creativity. And this time around, work, too! YAY! So it was raining the day I drove down to Anaheim and the last 50 miles of my trip took over three hours. Can you believe it? The entire I-5 Freeway was FLOODED! Yowza. I made it safe and sound though and checked into my hotel that night. On Thursday I did some sightseeing over at the ocean. I need ocean time, ya know!! Then I met up with Heidi, Stephanie and Sarah from Simon Says Stamp for a yummy dinner! MAN, I love those girls...A LOT. Friday I helped Brenda set up her Sizzix booth all day. That was the first time I've been in the convention center before the show opened. It was super duper interesting to see behind the scenes of how everything comes together. I'm really happy I had that opportunity. It kind of freaked me out that I was sitting there doing some last minute crafting for the booth....and a tractor went by me in the aisle!! They were putting up the giant overhead signs. Like I said....super interesting. I saw so many of my favorite people setting up, and it was quiet in there too. I worked the show Saturday, Sunday and Monday and drove home on Tuesday. We had some amazing meals together all of us gabbing and getting caught up. I worked with Brenda in her booth on Saturday morning and that was amazing. Some of my favorite products were from Tim Holtz (Ranger, Ideaology and Sizzix), Lawn Fawn, My Mind's Eye, Prima, Simple Stories and Waffle Flower. We R Memory Keepers has a new punch board that makes the entire alphabet! They are so innovative. Lots of companies are getting into the planner biz I noticed. Echo Park as always had some of my favorite paper collections. Little B has new washi tape that has FOXES on it - and I must have it! It's really hard to think of everything right now! CLICK HERE to see the blog posts from CHA that we posted on Simon Says Stamp Blog (it will be the first four links that come up). CLICK HERE to see my Instagrams from the show! I made a fun little video instead of showing a bunch of photos here on the blog!!! I hope you enjoy it!!! It's time for CHA! Announcements and Info! Hi everyone! Hope you're having a great week! I'm already down in Anaheim for the giant CHA Convention! Yay! Oh, man, I look forward to this so much every year! So anxious and excited to see my friends, have tons of laughs, take some selfies, and do some business! This year I am part of the Simon Says Stamp team and I'm really grateful! 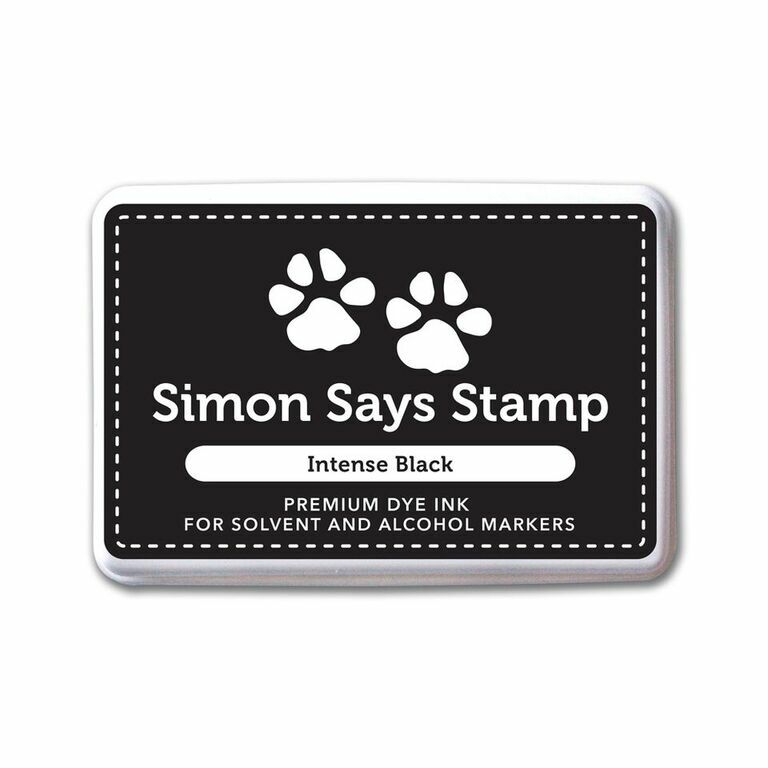 I will be taking photos on the show floor and will be writing some of the blog posts for the Simon Says Stamp blog - to keep you updated from the event. Here is the link to the CHA website so you can see what it's all about. It's the world's largest craft and hobby trade show. Where all the vendors of our favorite products show their items and display them for the buyers. This year I was lucky enough to help my dear friend Brenda Walton design her CHA booth and make some of the projects. What an honor and what a fun experience! I can't wait to show you what it looks like! I also have a few projects in the Sizzix and Ranger booths for Tim Holtz like I did last year. Also, such a great opportunity. I am so blessed. I will share photos of all of these things when I get back. Here is my post from last year's show! Merry Christmas 2015 from our home to yours! "Loving Father, Help us remember the birth of Jesus, that we may share in the song of angels, the gladness of the shepherds, and the worship of the wise men. Close the door of hate and open the door of love all over the world. Let kindness come with every gift and good desires with every greeting. Deliver us from evil by the blessing which Christ brings, and teach us to be merry with clean hearts. May the Christmas morning make us happy to be Thy children, and the Christmas evening bring us to our beds with grateful thoughts, forgiving and forgiven, for Jesus' sake, Amen!" Hi there! Don't have a card today! I do have a cool and fun project to share though! How is your week going so far? Did you buy your turkey? I drove by the grocery store last night and the parking lot was crazy-town! I'm glad I already did most of the shopping. Next week already! I'm excited for Thanksgiving and shopping and general holidaze! It's time people! Get ready! My lovely and amazing friend Brenda had the good fortune of receiving some beautiful birch tree branches from her neighbor a while back and we have been brainstorming what to do with them... My first thought was chalkboard paint! So I bought the paint (Martha Stewart Black Chalkboard Paint from Michael's) and white Sharpie Markers and some White chalk and then we finally got together last week to make it all happen. The ideas kept evolving and Brenda's kind husband (a gentleman AND a scholar) cut little pieces of the branches for us to use. We had a marvelous day in the studio making gift tags, ornaments and pins for Christmas. Here is our lovely pile of beautiful birch slices! We did some larger sized ones too, but I think both of us liked the small ones better. My favorite are the 2 inch ones that I made into Christmas pins by putting a pin back on with some hot glue! Spring Garden Configuration Box Project! It's March now, so I'm going to officially declare it Spring time! I know so many of you are still stuck under snow drifts and icicles...but here where I live it's allergy-flowers-grass-bunnies-blooms time already! I have been taking the Claritin for a month! (But I totally digressed right there). It is Spring, and to me, now it's time for lovely soft pastels in my crafting, and time for renewal and hope and happiness. I have a really special Spring Garden project to share with you today! I don't really even know where to start with this one...There are loads of pictures! Do you have those projects that you pour your entire heart and soul into? Where you just escape into it and spend hours and hours making something? Like you became one with the project?? Well, that is the case with today's project for me. I'm calling it my Spring Garden Configuration Box! I made this one for the Ideaology booth at CHA, and used just about every single Tim Holtz product there is! LOL. (This one didn't make it into the final booth). I used dies, and adornments, and washi tape, and vellum, and ribbon, and glass jars, and dolls, and birdcages...and glitter, and pocket watches and pearls, and distress ink....and well, you get the point! I'm so happy to share it and I hope you find something inspiring! I used the 6x8 sized configuration box. Happy Spring! One thing about starting a Configuration Box, is you have to have a theme... I chose Spring, since I love flowers and birds and plants. So, with that, I chose the GARDEN letters from the Letterpress set and painted them in some pretty colors with Distress Paints. The next thing (in my opinion) to making a Configuration Box, is to choose a color palette. I chose pink, green, blue and yellow for mine (again to fit my theme). I kept repeating these colors throughout the project. All the boxes were first lined with patterned paper and then taped around the edges. I chose this pretty music paper for this box! Here you can see I cut out some vellum butterflies and put them into my cloche jars along with some moss and metal pieces. Yeah, this project required lots of glue...and tweezers!! This box in the upper left corner was filled with buttons and a pretty pen nib. You've seen me make roses from the Tattered Pinecone Die before! It's a favorite technique for sure! I made this one from pink core-dinations paper and then drenched it in rock candy glitter! Oh, then I added a pearl to the center! The pearls are colored with alcohol inks throughout the piece. LOVE those new shield charms!! I hand dyed my own ribbon with distress inks and then tied it around the knob. This birdcage filled with pearls is hanging from the main compartment with an eye hook so it swings back and forth. I also added some twine at the top and a flower/pearl to the outside. The Distress paints work so well with the metal pieces. Here I colored my metal butterfly with honey and china distress inks and then added china glitter! Thank you so very much for letting me share this joyful project with you! This kind of project is why I am a crafter...It was an escape and a true artistic endeavor! It took me many many happy hours to make it...a labor of love. I hope that you will try to make one of these at least once! It seems really hard, but just take it one square at a time and fill each one...before you know it, you'll be finished. I have more items already picked out for my next one - a bigger one! I'm off to CHA 2015!! Hi crafty friends! How is your week going? I hope your week, and your new year, are both off to a great start! I'm just popping in today with some news and updates. I was hoping to get one more card made and posted before tomorrow, but I just ran out of time! Tomorrow morning I'm getting up super early and driving to Anaheim for the 2015 CHA Show! I am so beyond excited and ready to get there and hug my friends, and see all the new products, and see my projects on display! (YAY!) I'm getting my things packed, laundry done, camera charged...all that good stuff. Luckily I'm taking my car, since I am NOT packing light! Haha. I won't be blogging for about a week while I'm gone at the show. It's just too hard to bring my laptop and edit photos at night after a long day and usually a nice long dinner. So, the laptop is staying put at home and I'll be posting photos from the show floor on my Instagram and Facebook instead! I made a card over the weekend, but didn't have time to properly stage and photograph it. It's fun and silly and I really wanted to share it, so I snapped a quick pic with my iPhone! The stamps are from Sweet Stamp Shop and they are SOOO cute! Can't touch this! LOL. Okay, so that's all the news for today! Send me good travel vibes, and I really hope you will come along with me via social media to this amazing craft event! I feel so blessed and lucky that I am able to attend CHA every year. This is year number four for me! (Can you tell maybe I'm a little excited??) Bye for now! CHA Product Review - We R Memory Keepers Flower Punch Board! WOW! I'm sooooooo excited to share this post with you today! Ever since I got home from CHA I have wanted to show you this - one of my very favorite things from the entire show! Trust me, you are going to want this! I am totally crazy about anything that comes from We R Memory Keepers - including all their other punch boards (I have 'em all)! But, they've outdone themselves with this one.... A FLOWER punch board! Yeah! It makes 7 different sizes of flowers! They are so innovative and creative! Here's a shot of my finished flowers... The polka dot paper is from the We R Memory Keepers Hello Life 12x12 scrapbook kit from Theresa Collins. That's new too, and it's beautiful! What could be more cheery than a polka dot flower with a bright yellow center!? It works similar to all the other boards...punch score, score and then repeat the steps until you get to the end of your paper strip. After your paper strip is scored, it's just a matter of folding along the score lines until a flower takes shape! There is a small tool included that helps you roll the tips of your petals to make them rounded... GENIUS I tell ya! Perfect. Here is my completed flower. If you want the flower to lay flat (for a scrapbook page or a card, you leave all the petals in. If you want the flower to pop up like this one, remove one of the petals and glue it together! And, really cool, you can add stems and centers!! Here is a photo of the pieces to complete a flower on a stem! The stems are soft and have a wire inside so you can wrap them around something or bend them to your liking. The scoring tool and the petal rounding tool fit into the back of the punch board for storage and to make sure they don't get lost. Here are the pretty dots for flower centers!!! LOVE. Serioulsy right?? The dots come in three different color packs. I chose the sunny yellow for my flowers. I hope you have enjoyed this product review as much as I have enjoyed sharing with you! The punch board will be available later in the Spring so keep your eyes open at your favorite craft store. I am so excited to see all the fabulous ideas that are sure to come from this neat new tool! Have a wonderful day everybody! Happy Valentine's Day 2014! Sharing some treats today! Happy Heart Day!! It's another Valentine's Day again! Hope you have a sweet and lovely day filled with treats and hugs!! The hubs and I will be going to an early dinner at PF Chang's after he picks me up from the office and I cannot wait! YUM. Just a low key celebration for us - our 21st Valentine's Day together! Today I'm sharing some treats I made for my sweet work friends. I used some gorgeous and cool chevron treat bags I got at Paper Source. I filled them with Hershey's kisses and had fun decorating then with all kinds of red and silver goodies. I really love to make treats like this. So pretty and kind of old fashioned. All the kisses were on my crafting table, so I couldn't resist getting my camera out and taking some close ups. They are so shiny and bright! Here are a few of my treat bags...I didn't photograph all of them - but they are all similar and used the same stack of supplies. Don't you love those chevron bags???? I have them in hot pink, and blue too!! You've been framed! A fun frame project! And just the tag... I love these mini wallet prints!! Time to clean all the glass and put the photos inside! I cut out tons of flowers using my Tattered Floral Die from Tim Holtz....that's always a favorite!! I use this die so much! I chose some pretty gingham and a soft floral in the matching colors. I chose this color scheme because it is the Taylored Expressions color scheme and all our shirts match! Now for the tags! I cut some of the paper into strips and then edged them with my FAVORITE scallop scissors... They are for fabric, and they cut paper like buttah! Here are my tags ready to decorate! For the banners for the frames, I printed them out on the computer using a nice clean and simple font. Then I cut them out with a banner die. I made Taylor's frame an 8x10 size. The rest are 5x5 size. This big frame came already painted the perfect color and I loved it right away! I think it looks like the TE logo! I didn't have to paint this one either. Making projects like this is exactly why I love being a crafty girl! I love being able to make the perfect thing to give as a gift and to make other people smile. I hope that you enjoyed this photo tutorial, and hope I've inspired you to try something like this! The possibilities are endless really! Have a super duper weekend everyone. Lots of love! Hero Arts January Contest! Plus, my CHA wrap-up! First, I want to share this card I made for the current January Hero Arts Contest! The great thing about the Hero Arts contest is that there are usually several themes and variations on it. This time I used two of the contest themes. One was to use something "new" to you. I used all new Hero Arts stamps that I hadn't inked up before. The other theme was to make an ATC. I made my ATC, and then turned it into a card! I love doing that. (Here's another one I made in 2011). And here is the card by itself. I matched the maps up on both pieces to make it look nice and polished. I love that air mail Washi Tape! I guess sometimes it pays to hoard craft supplies! For my sentiment, I crinkled my piece of paper and then inked the edges to look like it was old. The tiny red heart is right over California! This is an adorable new stamp I just bought! I stamped it a bunch of times and then cut out a stack of tiny letters to go on my ATC! This is some sort of creative process??? I just dumped out all these stamps and tried to see what would come to me! Okay, so now, more about CHA! I drove down on Friday to Anaheim. It's about 425 miles from my house. As I crossed over the grapevine, which is the Tejon Mountain Pass, it was snowing!! But, not to worry, the road was clear. (Actually I was a little worried.) It was extremely cold the entire time in LA, which is odd. Last year it was in the 70's and this year it was in the 40's! Brrrrr. I went to the show floor on Saturday and Sunday with Taylor and the crew, and then drove home yesterday. Crazy, right? It truly was a whirlwind of good times! The Baker's Dozen was well represented: Taylor, Jami, Regina, Carole, Tammie, Shannon and I hung out together. It was wonderful! It was my first time meeting Carole, Tammie and Shannon - they ROCK! :-) Giant thanks to Taylor for bringing us along for the adventure! I posted about 75 pictures or so, on my facebook page throughout the show, and many of you were following along with me! I didn't ever get my camera out - took only iPhone photos this time. It was just too hectic and we were moving too fast to get out the gear! Here are some of my favorite things: We R Memory Keepers had two great new gadgets that I will buy for sure - a Washi Tape Dispenser, and a new Envelope Maker. I saw beautiful new products from Sizzix - including a whole line of dies from Brenda Walton - love her! New papers from Simple Stories and Echo Park, and new stamps from Paper Smooches...it's so hard to choose a favorite this time! Doodlebug has new paper lines that all have matching Washi Tape! Yipppeeee! One of them has tiny fruits on it! I am so buying that! The big color theme I kept seeing was aqua. I don't know if that's because it's my favorite color, or because it really is 'hot' right now! LOL. Prima has a new line that is bright yellow, orange and turquoise. Love that too. I saw Tim Holtz doing his thing - demonstrating at the Ranger booth. I met and talked with my crafty idol Brenda Walton. Saw Theresa Collins, and Shari Carroll and Kim Hughes, and Amy Tan, and Kristina Werner...too many sweet and talented people to name them all! I love this community of crafty women so much! It makes me happy inside - to be a part of it all. Saturday night the TE gals had a lovely dinner in Downtown Disney and we gabbed forever. Sunday night there were 50 people at dinner at PF Changs! Such good times! I made a video on my iPhone to share all my photos with you! I don't really get the whole thing with using music on your videos on YouTube, etc...so I had to leave the music off. (sad face) Cuz this video really needs some happy music! So, put on some tunes that make you happy and have a look!! You can watch below or CLICK ON THIS LINK to watch it bigger on YouTube! Hi blog friends! Happy Sunday afternoon...it's quiet around here and it's just what I needed. Busy day yesterday stamping and chatting with good friends and lots of driving. Today, it's a little time in the crafty cave and a silent house. The DH is off helping his brothers with some stuff. It's been a great day getting caught up on craft projects and laundry. Next I have to tackle my overflowing email inbox! I just can't seem to catch up on that! I've been seeing lots of paper bows everywhere lately. The first one was on the cover of the current Stampin' Up catalog. Then on some other blogs... I love the technique and wanted to try my own take on it. After some trial and error, I came up with some gingham paper bows that I really like! I hope you like them too. Thanks for coming by today! Here are the final bows...and I'm going to go step by step for you so you can make some too! I ended up making five in all...once I got the swing of it, they didn't take too long. You're going to free hand cut them into bow tie looking shapes. I made a rough template out of a piece of green cardstock (sort of a leaf shape) and then layed it on top of my fold and cut them out. The fold is the thinnest part as you can see in the picture. Don't worry about being too perfect with this. It will work out. I cut the tails out using my MFT Flag Stax dies....Two for each bow. You can adjust the length to your liking. Here are the bows glued in the center with a glue dot. The fun part is picking what you want for the center! I tried buttons, brads, flowers, rosettes, everything you could think of. I ended up liking these resin flowers the best. No, Buddy, it's okay, I don't need more than three inches of space on my giant work table! LOL! He always has to be part of the action. So, now the question is...what to do with these bows!? I could put them on a package, or on a card, or on an envelope. I think they might be cute on place cards for a shower. What do you think? What would you do with them? And...will you try and make some too!? Have a fantastic week ahead. Love ya my bloggy friends! My newest obsession - hexagons! Helloooooo! Did you have a great weekend!? I sure hope so. I had a really nice weekend with just the right amount of business and quiet. The hubs and I went to Berkeley on Saturday and spent a very nice day together. I was volunteering - reading scholarship applications - on campus and the DH was nice enough to drop me off where I needed to be (in the rain) and then pick me up later. We also went to Scrapbook Territory and Paper Source, where I got some new crafty goodies. On the way home, we stopped in Davis and had a most lovely Italian dinner - really just such a nice day together. Sunday was spent in the craft cave making some projects for Poppystamps and to post here. A fine rainy day at home...perfect. I went for the shabby-chic-grandmas-quilt look for this card. I picked colors I like for Spring - happy, cheery colors. It's really easy to form the hexagons together - just like quilting - into flowers. Here is the die set I used to make this card. I found this on eBay - fifteen different sizes in one kit! Perfect! The biggest one is huge - probably won't use that one! I like that there are teeny tiny ones too. So, yeah, I had to cut out each hexagon one at a time...took a while! I used some of my favorite embellies - ribbon, buttons, and pearls, to make a finishing touch on my sentiment. This was one of the trees out in front of our work site...with a beautiful blue sky. This was my favorite photo of the day on Saturday - looking back at the main library and the Campanile Tower which is the center of campus... I really like the Instagram effect on this one. It's a hodge podge blog! Say that three times fast...hodge podge blog! Haha! Today I'm trying to get organized and get my craft studio into some semblance of order...which seems to be a major task right now! I wanted to do a blog post and share some things, though. These are just some random cards and photos that never got posted for one reason or another...so I'm lumping them all together. A little of this and a little of that! I hope you are having a great weekend so far. Thanks for stopping by! First up I'll share a little organizing I did a few weeks ago. I am just a wee bit OCD...okay a lot OCD. Organizing makes me happy and relaxes me when I'm stressed. I know I'm not the only one out there right? I love The Container Store... All my photos are in matching bins organized by year... All my stamps are categorized by theme... You get the drift! 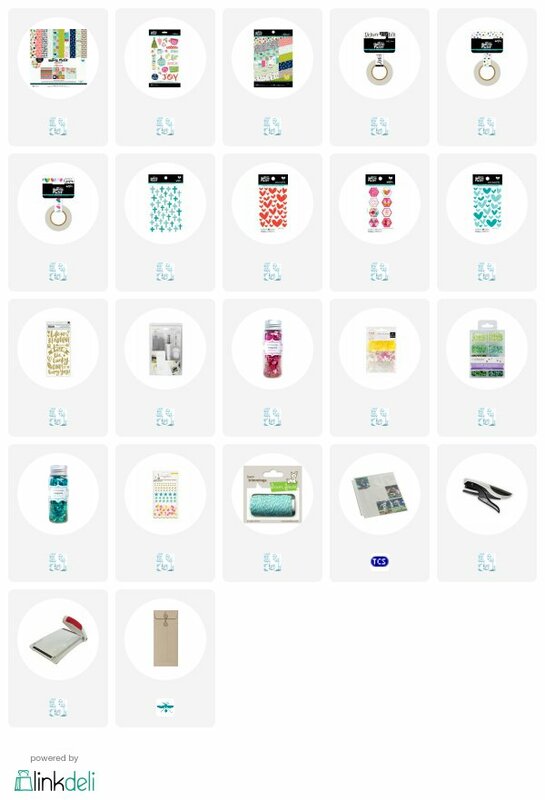 One thing that has always escaped me was a good way to organize my Cricut stuff. Well, recently I found these Iris containers at Joann's Crafts and they did just the trick! Here is the final result! 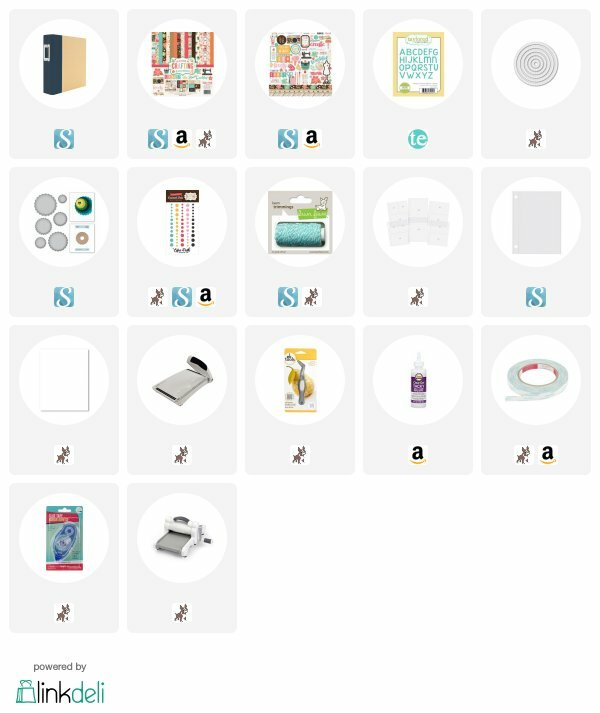 I have found that I am using my Cricut a lot more now that I can easily access my cartridges and booklets. Love it! Next up a couple of cards that I hadn't shared yet! I made this Hello Kitty creation to send to sweet GG who had mailed me some awesome Hello Kitty swag! Thanks again Rachel! We have bonded over HK! I used my Cricut to make it...and some cheery gingham paper. You might remember this next card...I did THIS version in red a while back. I made another version in purple for a friend's birthday this week. I adore this layout and that Darla Butterfly die from Memory Box! Next up is just a fun story to share... Our local Shopping Mall had a big fire in October of 2010. A good portion of the mall was closed for over a year and it kinda sucked! The mall had a huge re-opening party late last year and Stacy London was there! I LOVE 'What Not to Wear' - mostly because of Stacy. Love her exhuberance and her happy demeanor! Well...the hubs heard on the morning news that she was speaking in about an hour!!! I hurried up and got dressed and dashed over to the mall just in time to see her. SHUT UP!!! She said "SHUT UP" about 100 times...and she really is exactly like she appears on the show. Very funny and helpful and VERY pretty. I took about 50 pictures...and there is not one picture in which she is not making some silly face! I think this one is my favorite. You want to talk about being animated!! Or maybe this one is my favorite? Lastly, I took a picture of some yummy treats the hubs sent me for my birthday in November - from Sucre in New Orleans! MMMMMMMMM! I wish I had some right now! Well...I promised you a hodge podge! I hope you had fun sharing all these things with me and that you found something you liked! Please be sure to come back on Monday for the start of Taylored Expressions March sneak peeks. Toodles! Monday? Already? Truly, how is that possible? I guess there's nothing we can do about it, but boy this weekend went by fast! Saturday we hung out with family all day (after getting our taxes done in the morning) and then yesterday was a Super Bowl pizza festivus at our house! I did get in some crafty time to make another Valentine to share on the bloggy blog. I got the idea from this month's issue of Martha Stewart Living magazine. It's a fold-out card - and I don't believe I've ever made one before! Here is the inside of the finished card. By the way, it's hard to take a photo of a fold-out card! LOL. I used some adorable paper from Amuse Studio, sent to me by my friend Teadub! I printed the template right onto my cardstock and cut it out, instead of making a template first and then tracing. Either way works. Here is the link for the template: CLICK HERE! I made a red card base - it's 5x5 inches square - and then lined it with the white paper. Here's how I decorated the front of the card - very classic Valentine-y don't ya think? Didn't go too crazy with it. That bright red with white is so crisp and fresh. Here's one last view of the inside. You should definitely try this one! It wasn't too hard at all, and you could really have fun with paper choices on this. As always, thanks for spending a bit of your day with me! Have a great week! More Valentine's to come...my craft room looks like a cupid expolosion right now! XO. Hi peeps! Today I'm posting a super fun project that I've been saving to show you! I'm typing this before leaving for the convention...and when you read this, I will most likely be in my car somewhere on I-5 on the way home from LA. Since I was going to meet the Taylored Expressions Baker's Dozen crew I wanted to make them something special. I made cute goodie boxes to leave at their hotels as a little check-in surprise! I was cooking up this idea for weeks and it was hard to keep a secret. I used tons of my favorite Taylored Expressions Cuppie stamp sets and lots of sparkly glitter. I hope you enjoy looking at this project. There are lots of pictures in this post! I used images and saying from all of these stamp sets. I kept the palette simple - pink, aqua and black. This let me play with a lot of images but still have a clean look. Look at all those little candies....so cute! Here they are all spark-a-lay! I made little matching notecards to go inside the boxes. To make my mini cards (about 3.5 inch square) I used my Cuttlebug and a large scallop square Nestie. I love making little scallop cards like this. Somehow they seem more fun!? Here is my little stack of cards ready to go! Okay, these little cupcakes are the cutest thing ever! I found them at Bed, Bath and Beyond! They are meant to be little single cupcake holders....but I filled them with candy. Then the gals can use them later. Thanks for coming by today to check out my project! I hope you do something creative every day! Have a wonderful day....see you soon! Hi everyone! It's time for a new year and that means time for some cleaning and reorganizing in my craft studio! I am very blessed to have so many awesome crafty things to play with...but alas...there isn't room for it all anymore. So, I thought I would sell some grab boxes. It's like a grab bag, only bigger - and better!! I'm putting together some goodie boxes...the big, flat priority mail boxes from the post office (see more info below) filled with stamps, stamp sets, paper, ribbon, doo-dads, glitter, dies, stickers, flowers, magazines, embellies, etc... The stamps are either brand new or gently used. (I'm pretty careful with my crafty things.) I think I have enough stuff to do twelve boxes. 1. USPS Priority Mail Flat Rate Box (13-5/8" x 11-7/8" x 3-3/8") filled with stamps, stamp sets, paper, dies, glitter, flowers, magazines, ribbon, embellies, and/or stickers. 2. $55.00 - which includes the $10.95 shipping charge and much more than $55.00 worth of goodies! OR, if you're local, and I'll be seein' you, choose the paypal option for a Grab Box for $44.05 (no shipping)! 3. Payment via Paypal to United States addresses only. I will use Paypal shipping so you can track your goodies. If you are interested, please click below! Hi everyone! How are you? Are you all ready for New Year's Eve? I think we are boring this year and staying home and warm and toasty by the fire with some movies! I don't think we're going out. Sometimes we go to our waterfront and watch the fireworks at midnight and enjoy the festivities and sometimes we go out to dinner. This year I think we'll be lucky to actually make it to midnight! I'd love to know what you're doing! I'm happy it's Friday (I was the ONLY person at my office this week!) and happy to be sitting here sharing a project. Before I get started too far...there are still some Grab Boxes left! (see the post below this one). I'll be packing them up this weekend and shipping them on Tuesday. Get 'em while they're hot! I like to make calendars for my gal pals each year - for them to put in their work cubicles or on the fridge. I use the clear plastic 4x6 frames with the magnets on the back. I look for them on sale at Michael's. I keep the design simple so that it will fit inside the frame and look good all year. I think I've been doing this 8-9 years now! This year I went quazy for quatrefoil and used it for my calendars and cards! I am IN LOVE with this design element. It seems to be everywhere (as you'll see later in my post). It's classy and feminine and retro all at the same time. What could be better than that? I paired the crisp white quatrefoil overlay with some bright spring green Stardream paper. YUM! Isn't that super cool? Sorry, I'm getting carried away. Here's the supplies...That's my current iPhone cover! EEEEEEEK! I'm pretty sure I have some sort of Cuttlebug injury after cutting all these out! Have a wonderful, fun, fabulous weekend! Hi everyone! What's going on?! I hope you had a wonderful weekend. Are you ready for that one last week leading up to Christmas? I'm trying my best to finish up all the last minute wrapping, cooking, baking, cardmaking, blogging and shopping today so that I can actually take a breath and enjoy the season a little bit. Sometimes I feel like I just go through life so fast that I miss it! So, I'm going to try really hard to relax next week, and take a look around. Yesterday we went to my youngest brother's house and visited with my two brothers, their wives, and their FIVE sons under FIVE years old! They are so fun! I have to tell you that I was pretty tired when we went home though! I wish I had 10% of that energy! It was so nice to see everyone and talk and hang out. It did my heart good. Before I dive into my share for today I just wanted to express my thanks for all the kind, sweet, wonderful comments everyone left for me on Friday and Saturday about my guest designer spot on the Penny Black blog! That was such a fun experience and I read and appreciated each nice note. Thank you! Today I'm sharing some fun country snowmen cards I made - inspired by a photo I saw on Pinterest. I saved it to my Christmas board a while ago, and then decided to make them! HERE is the INSPIRATION, from Anna Wight. I love her work. She made pins and magnets out of her snowmen, but I made cards. Are you hooked on Pinterest yet? Oy. So many wonderful ideas. I made six cards in all... They all have the same layout, but I used different colors and different ribbons and backgrounds to make each one unique. I had fun picking out little accents to put on their scarves. I didn't want them all the same, or all too perfect, so for their carrot noses, I freehand cut triangles from a sheet of Bazzill paper. Some coal for their eyes and mouths...in the form of enamel accents! The background papers were all stamped using antique linen ink on cream cardstock. They're all from Hero Arts. Music notes, text, and plaid. I couldn't just pick one so I made some of each. I also distressed the edges of the paper. Aren't they so fun and country shabby-chic? I just had such a great time with this project. Hope you enjoyed it too! Hi everyone! Just a quick post today to extend my heartfelt wishes to you and your families for a lovely Thankgiving! I hope you eat too much, get too many hugs, and don't have enough fingers to count all of your blessings! I love Thanksgiving because the message is pure and simple - be glad and grateful for all that we have. Have a wonderful day! Happy Thanksgiving! Show and Tell from this weekend! Hi friends! How are ya? Hope you're having a great week and doing some fun stuff mixed in with the day to day stuff of life! I have been dying to share with you what I did this weekend. Tonight I finally had time to take photos of my projects and sit down and write a post about it. My friend Richele and I met many years ago when we both taught classes at one of our local stamp stores. She is super sweet and SUPER talented! Mad talent! Her style is Tim Holtz/Ranger/Grunge with the most attentive eye for detail and a splash of femininity too. (Her blog here) She works closely with Tim Holtz and does design for Ranger, among other crafty things. Well...Saturday afternoon I called her up to say hi and she says "I'm teaching classes all day tomorrow at Scrapbook Territory, why don't you come with me?" I had to think about it because I had about a bazillion things I was supposed to get done. Luckily, my gut told me to call her back and say "yeah!" and that's just what I did! Lucky me! That was definitely the right decision. She taught a melt-art class in the morning and a Grunge Christmas class in the afternoon...it was a crafty marathon...all day! Met some really nice people and made the neatest projects. I'm inspired in a whole different way after letting go and being messy! hahaha. Okay...enough blabbing...here's the goods...First up, our lovely teacher, Richele. Here's Nikki and Marsha concentrating on their UTEE melting pots. From the looks of all those cords, I'm glad we didn't blow a fuse! We did some mold and pour molds and made faux resin flowers out of the melted UTEE. I have never done this technique before and I really liked it. I always thought it was complicated or difficult...but it isn't. I may invest in a melting pot at some point! Here's Richele pouring the UTEE into some fun foam shapes over dictionary pages to make embellies for cards. What a cool idea! One of the other things she showed us was to take paper flowers and leaves and run them through the melted clear UTEE until it's coated. It dries fast, and dries into this amazing glass like finish. LOVE this! I'm also picturing putting some chunky glitter on them before they dry??? For one of our projects we took one of our flowers and some leaves and used them to make a piece of jewelry. I decided to make mine a pin. Isn't it pretty!? I'm so excited to wear it on my favorite denim jacket! I wear pins a lot so this is great! See the close up of the "dew" on the leaves? That's actually dry! We sprayed them with Perfect Pearls mist. OOOOOOH LA LA! This is hecka fun! Here are my faux resin flowers! Got me some o' this on Sunday too! Now all that stuff we made in the morning class was more than enough fun for one day...but NOPE...there's more! Here are the projects we made in the afternoon Ranger Grunge Christmas class! These cards have a real retro vibe that I like a lot. Very classy. With this project I became infatuated with Perfect Pearls Spray in Heirloom Gold....wowza! This ornament is a die cut on a piece of grungeboard and then crackled, and painted and sprayed and on an on. All these layers really make a wonderful outcome. Richele gave us lots of goodies and stickers and Stickles and we went to town making ATC's. Here are my two favorites. Lots of distress ink and embossing. MMMMMMMM. I think I will probably end up gluing these onto card fronts for some Christmas cards. On a totally different topic...when I went to leave the house Sunday morning the hubs pointed out that the normally blue hydrangeas in the front yard were doing some weird stuff now that it's November! Check out the color on this one! Thanks for letting me share my good time and my projects! This week is going to take a serious turn on Friday so I need some good vibes and prayers coming our way. My dear hubs is having a Tonsillectomy. He's been sick and generally not feeling well for a long time and we're hoping that getting his tonsils removed will start him down the path of feeling like his old self again. Not sure when I'll get a post up next - so check back in with me. HUGS! Guest Designing for Scrapbuggy...Part two! Hi friends! Today I'm posting my second post as a Guest Designer for Scrapbuggy! A while back I was contacted by the sweet owner of Scrapbuggy.com, Gia, and she asked if I would like to do some projects for her! Well...of course I said yes! She specializes in QuicKutz and she sent me some of her exclusive dies to play with. I posted some last Saturday and then this card today. Thanks again for the opportunity Gia! It has been so nice working with you! This vine and flower die that she sent me is fabulous! It could work for a card, as I've done, or for scrapbook pages. It's large enough to cover a good size area. My finished card is 8x4 inchest to give you an idea of scale. I decided to make a happy summer card. I layered two different colors of green vine to add some interest and depth to the project. I used two shades of pink and then also popped up some of the flowers with foam tape. Added some yellow blings to the centers...voila! Here is my pile o' die cuts! Isn't this a happy sight? Even though this die is on the large size, I cut everything out with my Cuttlebug. Thank you for coming by the blog today! Have a very happy Saturday! I'm off to see some of my stamping gal pals in the bay area to have some pizza and gab the day away. I need to hear all about the Stampin' Up convention deets. Cannot wait!! Guest Designing for Scrapbuggy! Chairs to You! Hi friends! Today I'm posting as a Guest Designer for Scrapbuggy! A while back I was contacted by the sweet owner of Scrapbuggy.com, Gia, and she asked if I would like to do some projects for her! Well...of course I said yes! She specializes in QuicKutz and she sent me some of her exclusive dies to play with. I will post some today and some more next Saturday. Thanks for the opportunity Gia! I cut my chairs die out with my Cuttlebug and I used the DCWV Adhesive backed paper for easy application to my card base. These chairs are great because they can be shabby-chic in white or masculine and formal in brown. You know which I chose! The seat cushion is a separate piece of the die so you can make it with a different paper. Love that! Can't you just imagine yourself in this big comfy chair with a bowl of popcorn and a movie? If I had my own little beach cottage it would be decorated exactly like this - flowers and white and blue everywhere! I made a little rug out of a piece of cardstock cut into an oval. Please pop over to Scrapbuggy.com and check out Gia's great dies!! Happy Saturday everyone! Have a wonderful weekend! Alrighty...This is a loooong post that shows my weird train of thought and the roundabout ways that I get inspired! So, the story starts last week, when, out of the blue I got a sweet email from the Editor of Papercraft Inspirations (The biggest card craft magazine in the UK). She asked if it would be okay if she featured this card in their magazine!!! I'm like, um, yeah! One of my goals has been to be published in a magazine...but I have been too chicken to submit anything. I don't care how long I've been stamping, I just don't want to be rejected. I need to get over it (but that's a story for another time). I guess their magazine has a feature in which they show cards from people's blogs! Yay! I will keep you posted, and let you know when the issue comes out! I made all of these in just a couple of hours!! Really, it's just circles!! I used all my nice PTI felt and my circle nestabilities and went to town. The black for their eyes is jet black enamel accents. I used some Tacky Glue to put them together. Could not be simpler! OMG... I love this project. Totally makes me smile. I wish I had more felt...I woulda made a bunch more. Get it? A bunch more! LOL! Kinda makes you want a margarita, no? He reminds me of the Fruit of the Loom guy! I got to thinking, and I remembered that I have this nice words set from PTI that has a saying about a peach! AYYYYY. I found the stamp set and then I HAD to make this CAS card! We will have to examine my fruit fetish later, but for now I hope this made you smile too! Have a wonderful, sweet day! Hello! Today I want to share a project that's been rambling around in my noggin for quite some time. I was inspired by the super talented Shari Carroll and a project on her blog. I had saved the link to this gorgeous project she made and just needed some time to sit down and create my version of it. Well...I finally did it! (The link and more about her project are later in the post!) This project took a long time and some patience, but I think the results are worth it. It was really fun to go through all my brads, buttons and blings to find all this pink! Maybe you will try it too?! Here is Shari's GORGEOUS canvas project! OMG, can you see why I was inspired? Here is the link directly to the project on her great blog. She is a designer for Hero Arts and I've been a fan of hers for a long time. Please pop over and check out her blog! Here's the back of the project! The buttons and things were put on with glue dots. The brads I just poked through the paper. Because the back was so bulky, I mounted the cream piece with the heart on foam tape. I kept the rest of the card relatively simple and light. Let the heart be the focus. Hello! How are you? What do you have in store for the long Memorial Day weekend coming up? It's really almost Summer now. You wouldn't know it here. Yesterday it poured rain for a good part of the day. Then, I came home and was watching TV when they interrupted to say there was a TORNADO warning for a county not too far from us! WH-AT? That does not happen very often - thank goodness. What a wacky season this has been. I'll be ready for some sunny skies and long days. We don't really have solid plans for the weekend...we'll see what develops. I have a card "project" to share today. It's two projects in one. A card, with a pin attached! I'm not normally into purple but I love this royal velvet shade from PTI. It's yummmmy. Dark blue purple. I was inspired by our hydrangeas out front! Layer the four flowers by folding them in half and then putting them over/under each other like how you would close a box. I used hot glue to hold everything in place. Be careful not to glue to the edge of the petals...you want them to stay fluffy. Here is one layer of the backing. I put the brad through the whole thing and then covered it up with the green circles you see below. Again...used the hot glue. I layered my patterned paper pieces and then made two holes for the pin back to go through. Do you like the impression plate? It's new from PTI and looks like rattan or cane. Love. The sentiment was stamped onto a strip of vellum and then wrapped around the card. I mounted the green/cream piece with foam tape to allow room for the pin the be on the card. Here you can see the finished project from the side. At the last minute I decided to add a pop of matching ribbon! Okee Dokee...that's what I got for ya today! I hope your week has been good and that your weekend is even better! Don't forget that Taylored Expression June Sneak Peeks start May 31st. I've been working hard on my cards. I think you're gonna like these stamps! Hugs. HI!! Haven't seen me around here for a few days!! It's been a very busy weekend...full of good times, stamping and great friends. I'm just sitting down to watch the Oscars and update the old bloggy blog. My stamp classes at Paper Garden over the weekend went really well. A good mix of people. I had a dad show up to stamp with his daughter...which was super adorable! I met lots of new people. Many of my friends took class too. It was a blast! I snapped just a few pics so I wanted to share with you. Thanks to everyone who came - for making it so much fun! This is some pretty new silk ribbon from Japan - oh my! I have a quick and easy project to share today too. I needed a clipboard for my classes - to use for my email sign up sheets and such. You know, being a crafty gal and all, I couldn't just have a plain old clipboard! I had purchased a bunch of these plain clipboards on ebay a while ago and they were super cheap. I got out some patterned paper and some cool stickers that all went together...and voila! A cute clipboard in about an hour! Okay peeps! Have a great week! Thank you for stopping by today! Hi friends! I have some announcements for this Sunday morning...and then I'll be back with some cards tomorrow. Hope you are having a wonderful weekend! We have been kind of lazy so far, but in a little while we'll be heading out for some errands and a nice lunch together. First announcement is just a reminder that I am teaching two Spring Cards classes next weekend at the Paper Garden Boutique! I'm very excited and there are a few spots left. Please CLICK HERE for all the information about signing up. Below are some pictures of the projects we're making. Five cards with a cheerful Spring theme. I'm using brand new stamps and papers from Memory Box and some favorites from Impression Obsession, Amuse and Hero Arts. Hope you can join me! Second announcement: Thanks to everyone who left a comment on my last blog post about the Sucre goodies and giveaway... The winner is lucky comment #13! Renee! WOO WOO! Congrats Renee! If you read this before I email you, send me your address so I can pass it on to Sucre. YAY! Stuff I can't live (stamp) without! Hi there! Well, here we are...almost to another year! Hope your week was a good one and I hope you have a fun and happy time tomorrow night, whatever you're doing! Today's post does not have a project, cuz girlfriend is tired tonight! From time to time, people will email me and ask me what kind of camera I have, or what kind of ink I like best, etc... I wanted to take some time to answer those questions and I wanted to share my favorite crafting supplies! If you have a question about something, please don't hesitate to email me or leave a comment after a post...I'll be happy to help! 1. My camera is a Canon G11 that the DH bought me for Christmas last year. I am never without it in my purse or in the car...she goes everywhere! LOVE this camera. Small enough to fit in your bag and it is fully manual or automatic. 2. Come on now, you knew Copic Markers were second, right? Hee hee. Ever since discovering these markers, life has not been the same. Best. Tools. Ever. 3. My trusty Cuttlebug! I use it all the time with my embossing folders and my Nestabilities. Also, lots of stamp companies are starting to make dies and this is small enough to leave on my desk. 4. My Genesis Paper Cutter...Where do I begin with this? Everything you've ever heard about it is true. It was very very expensive and worth every penny. These used to be hand made by a family in New England somewhere and when you ordered it you got put on a waiting list...it took ten months to get it! That was about 6-7 years ago. Now, they are advertising instant shipping! I have never had to sharpen it or do anything to it. Cuts like a dream. 5. Martha Stewart Scoring Board. Gotta love Martha...and this! It even comes with an envelope template. Buy it at Michael's with a 40% off coupon! 6. My favorite go-to inks, especially for stamping my images when I am going to use my Copic Markers. Gives a nice, crisp image and doesn't bleed with my markers. Comes in a ton of colors. Distress inks for, well, distressing! haha. Love this color for sponging around the edges to give that shabby chic feeling. 7. Lately, this is my favorite cardstock. I like that it is packages in three different sizes and by color families. My favorite ones are "tropical" and "primary" colors. Stores nicely and is colored all the way through. Vivid, pretty colors. 8. Scor-Tape! Egads, how did I live without this before? This is great stuff. Comes in many sizes and is super strong. You can tear it with your fingers so you don't have to use scissors like some other double sided tapes. I like it because I can adhere a very heavy piece of a project and it won't come apart. 9. Martha Stewart craft punches! Oh, Lawdy...don't get me started on this... I did an entire blog post already about my obsession with these. Fun times. 10. Paper Source note cards/paper and envelopes in yummy colors. I like buying big, thick, juicy envelopes from them in colors that match my projects exactly. The closest Paper Source store is about 80 miles away so I don't make it there as often as I would like. This place is incredible. The store is a visual extravaganza for us paper lovers. Check it out! I won't even try to decide what my favorite stamps are, or what my favorite kind of patterned paper is...because I love them all! There are so many great stamps and paper collections! I try to mix it up in that regard and try different things. I hope you had fun reading this post. I would love it if you would leave a comment and tell me what your favorite tools are! That way, we can all learn from each other! I'll be back this weekend with some photographs I've been saving for you and an end-of-the-year wrap up post. Hugs. BOO! Are you having a good day? Getting ready for trick-or-treating? Finishing costumes? Eating candy? Whatever you're doing, hope you are having a great day. Not too much going on at our homestead. We don't really get trick-or-treaters at our house too much, but we have candy just in case. I think we'll just hang out. I have some treat boxes to share that I made for a few of my close friends and the DH. I didn't make them, but rather, just kind of put it all together. I did make the tags using the uber cute PTI Tiny Treats set! The loot! Vampire Pez's, spider rings, pumpkin notepads, an eyeball stress ball...which feels kinda weird actually, and of course...CANDY! Here's a close up of the tags. I used my basic Halloween color palette of orange, black and green. This set is so adorable! It has all these tiny sayings that match the pictures...you could make a million things out of it. Mr. Buddy in his Halloween t-shirt waiting for a warm fire! And, really, isn't this what Halloween is ALL ABOUT!!! CANDY!! !